"From my background of psychology I was initially sceptical. However I am now convinced that the PPA gives a true picture of work conduct. This method is a practical and simple way of checking whether people are in the right place and what their key qualities are." "I have purchased PPA reports and supplementary reports current personnel from PPA ONLINE.NL. This went very well and I would certainly repeat it. Due to several personnel changes we have shifted various responsibilities within our team based on the strong points of the PPA reports. Because employees now carry out more tasks which they are better suited to, they are happier and function better as a result. You also get to know your employees better and areas requiring attention come to light." 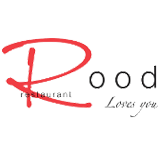 "I have been the owner and director of Newport Health & Spa in Huizen since August 2007. I recently became acquainted with the PPA supplied by ONLINE PPA. I was an enthusiast. It is inconceivable how much detailed information can be obtained from a form which can be completed in just 10 minutes by the candidate! I am quite happy to make use of it for my organisation for the recruitment of new employees but it is also recommended for existing employees." 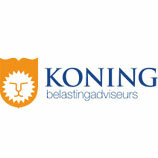 Jim van Alst AA/VA, Director MKB Meeuwsen Ten Hoopen Accountants/Belastingadviseurs B.V. te Lelystad. "Assessing people objectively is not easy. Not only in selection procedures in terms of vacancies, but also during regular assessments and performance appraisals for permanent employees. You’re always trying to gain insight into whether the person in question is and/or continues to be suitable for the role concerned and how it fits with their motivation and level of ambition. In a personal discussion you therefore try to achieve a suitably open atmosphere in which the candidate or employee fully expresses themselves. Via ONLINE PPA a handy tool has been extended to me which delivers results: the PPA analysis. By completing a short questionnaire both the candidate and the employee obtain a summary of the candidate’s stronger and less strong points in relation to the role concerned and the candidate’s levels of self-motivation and ambition. A superb document to use as a theme for a discussion." "I was impresses with the quality of the PPA rapport from PPA ONLINE. In addition to a personal talk is the rapport from PPA ONLINE in my opion mandatory for making important descisions when it comes to hiring." "I discovered the PPA supplied by ONLINE PPA some time ago. It is quite remarkable how much relevant information there is in such a report. I have now purchased various types of report and I see it as a unique way to get to know more about the work conduct of your employees. You can also use a PPA report as the basis for a performance appraisal. I can certainly recommend it to other managers as a tool."